It is estimated that the internet contributes to over $2.2 trillion in annual retail sales. Negotiations are conducted over continents via email, major contracts are concluded, electronic service of notices are accepted by courts as proper service etc. (This includes service by social media such as facebook). Employers are increasingly utilising the principle of Bring Your Own Device (BOYD), which, although a cost saving measure, also brings with it the users own particular social media practices. Not all users (or employers) are sufficiently sensitised to the ills of social media and the implications of an ill-advised post to protect their own or their employers’ interest. Staff utilise their devices for just about everything related to their daily lives. The majority of employers only identify this challenge when one of their employees have posted sensitive information, inappropriate content or their posts or comments are in such a way connected to their business as to cause reputational damage. Companies are urged to have a very particular Digital Device usage policy and specify acceptable use policies- furthermore, consent to investigate a device where a basis is laid that the device contains information or has been utilised in the commission of an offence or misconduct. 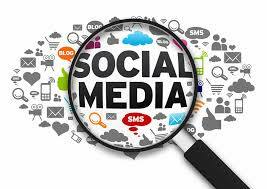 The securing of social media information for the use of evidence in a disciplinary or possible criminal hearing is not always simple. Neither is the possibility of identifying the originator of a post. In recent weeks, much has been written about fake social media accounts being created to perpetuate fake news as well as the use of screening platforms to prevent identification of IP addresses and users. Being able to investigate a particular post will depend on a number of aspects: how soon the information is correctly secured, the application used, the settings of the user (both recipient and original poster), the time lapsed before an investigation is launched from when the post was made, what information is publicly available, the knowledge and capacity of the person conducting the investigation (some information can only be obtained through legal processes, others are publicly available). The task of wading through all social media platforms to connect available links can be a time-consuming and costly process. The majority of social media platforms also has a fairly simple process of having a post taken down, which can further lead to frustrating an investigation or loss of valuable information. The limitation of country wide resources by the authorities is a further challenge. It must also be taken into account that where communication is involved, the information can still be available on another device or can be recovered utilising specialised software. Secure an image of the offending post by taking a screenshot from the device you are using. Contact an IT professional with knowledge of litigation related requirements to assist you in taking the matter further. See CMC Woodworking Machinery (Pty) Ltd v Pieter Odendaal Kitchens (KZD) (unreported case no 6846/2006, 3-8-2012) (Steyn J)where this was permitted subsequent to the insertion of Rule 4A of the Uniform Rules of Court as early as 2012.